These performances are courtesy of the 2018 Victoria Fringe Festival! TICKETS are also available in advance at 10am–5pm, Monday to Friday at Ticket Rocket (#101 – 804 Broughton Street); 12pm–7pm daily, starting August 20 at Fringe HQ (1609 Blanshard); and at Metro Studio Theatre one hour before the show (CASH ONLY). Purchase of a single $6 Fringe Button is required for admittance to all Victoria Fringe Festival shows. Fringe Buttons can be purchased at any Fringe venue box office. Dancer Denise Yeo is artist director of Palabra Flamenco, an ensemble that combines traditional flamenco music and dance with English-language poetry. A flamenco dancer and palmera out of the Alma de España Flamenco Dance Company and School, Denise has performed as a dance corp member in two major productions, Recuerdos and Pasajes, and as a soloist in tablaos across Vancouver Island, Vancouver, and Toronto. She has trained with international artists such as Concha Jareño, Domingo Ortega, Maria Bermúdez, Inmaculada Ortega, Carmen Herrera, Emilio Ochando, and Luis de la Tota. Poet Garth Martens has published Prologue for the Age of Consequence (House of Anansi Press) and the chapbook Remediation (JackPine Press), with a second full collection forthcoming. For his poetry, Garth is winner of the Bronwen Wallace Award for Emerging Writers and a Finalist for the Governor General’s Literary Award for Poetry. A nine-year student of flamenco, he is a member of Palabra Flamenco, an ensemble that combines traditional flamenco music and dance with English-language poetry. Gareth Owen Flamenco Guitarist has collaborated with internationally acclaimed flamenco artists from Spain and North America, including guitarists Jesus Álvarez and Gaspar Rodriguez Roman, singers Coral de los Reyes and Miguel Rosendo, and dancers Domingo Ortega and María Bermudez. Gareth has recorded two albums, Gareth Owen Flamenco Guitar and El Cobre, with a third forthcoming. He has performed solo concerts in Calgary, Victoria and Haida Gwaii, and tablaos in cities across Canada and at the Tablao El Laga in Jerez de la Frontera. 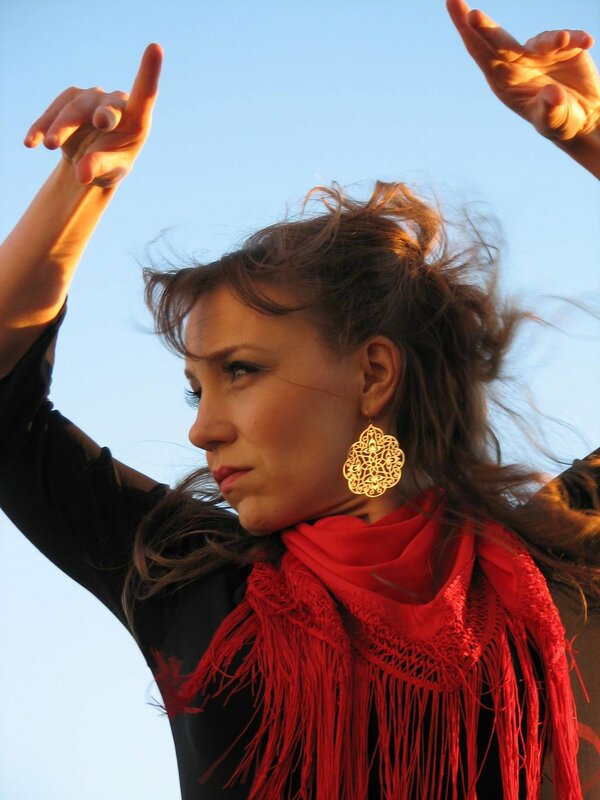 Singer Veronica Maguire is co-founder of Alma de España Flamenco Dance Company and School. In a career spanning 45 years, she has inspired many students and produced and directed world-class productions such as Recuerdos and Pasajes. She has shared the stage with international artists, including María Bermúdez, Domingo Ortega, Coral de los Reyes, Luis de la Tota, and Inmaculada Ortega. For her contribution to dance in Canada, Maguire is the winner the Canada Council of the Arts' prestigious Jacqueline Lemieux Award.